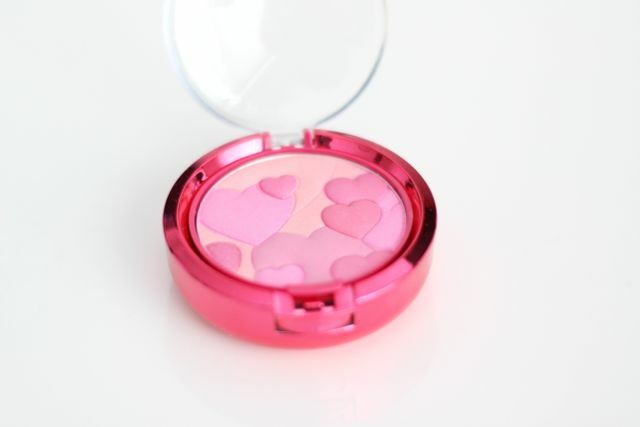 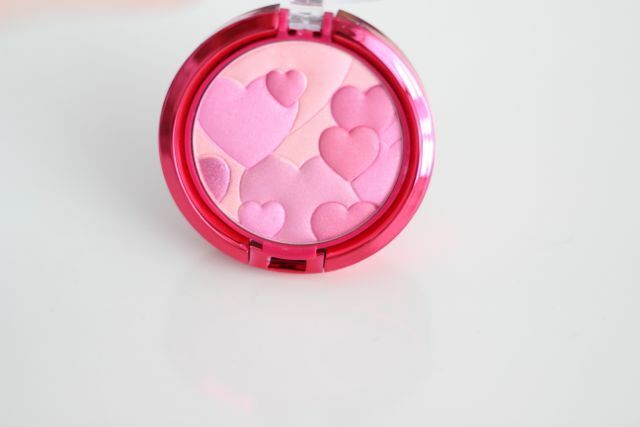 This blush has pretty hearts design. 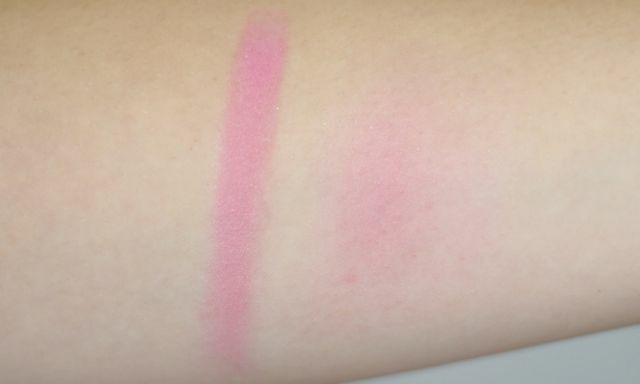 The shade is bright pink. 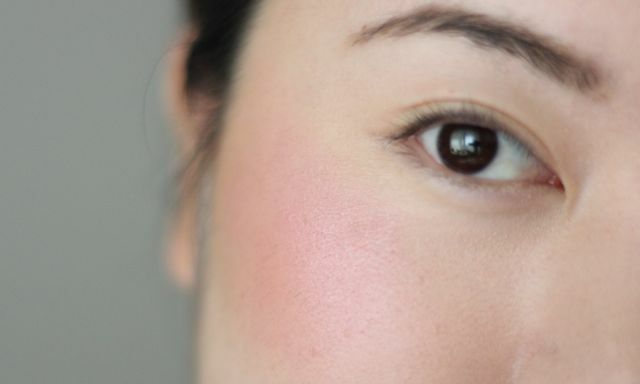 It's great for all seasons.